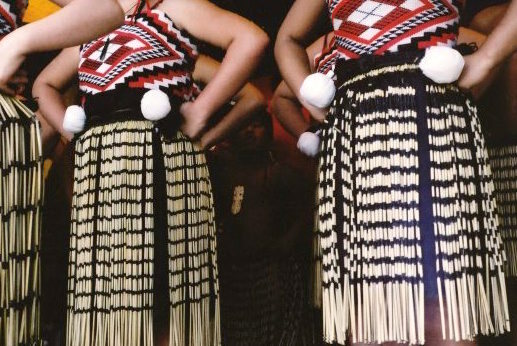 One of the things I love most about textiles is that every culture on the planet has something to contribute to the conversation. When I visit a new place I make it a point to seek out examples of indigenous textiles, and I especially love finding commonalities across cultures, and ideas that I can incorporate into my own design vocabulary, after a bit of research of course. 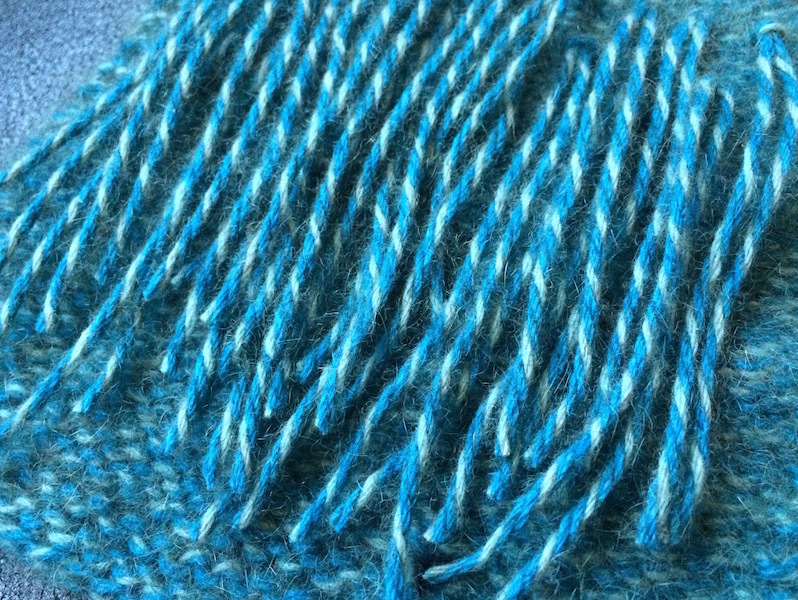 Flipping the swatch over, I tried two rows of traditional fringe, staggered for a full, slightly randomized effect. It was lovely! Light, fluffy and best of all, easy to execute. 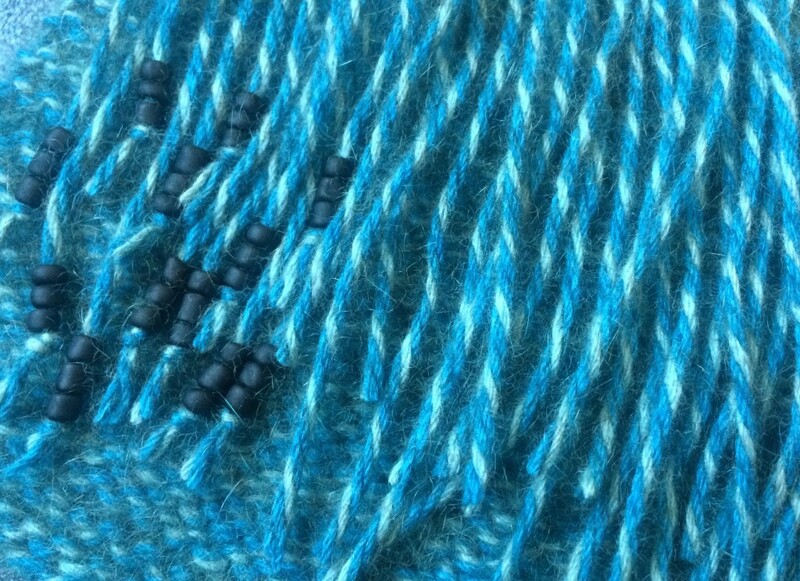 Still, I missed the contrast of the black ends, but then I thought–beads! 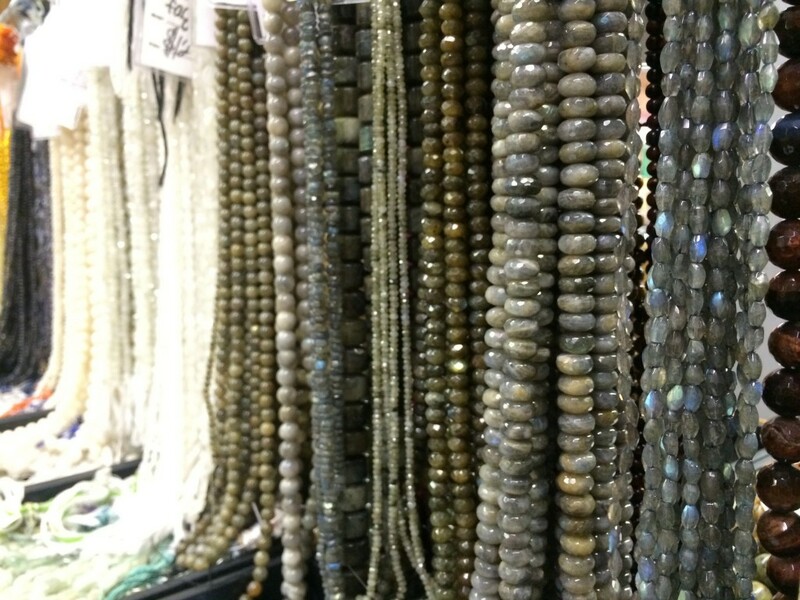 Beads would add weight, both real and visual, and it would hopefully evoke the piupiu. 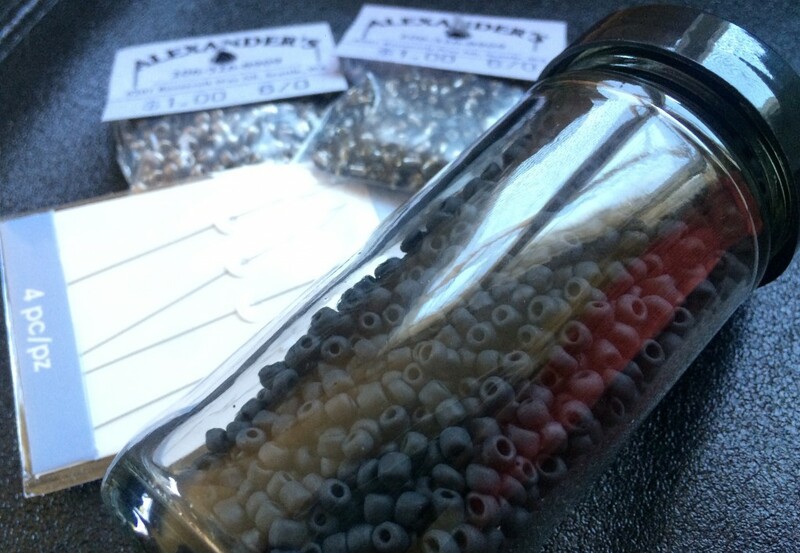 I headed over to my local bead shop and admired all the gorgeous gemstones that I passed on my way to what I actually needed–plain glass beads in matte black, size E/6.0 (and a few metallic variations). I also picked up some collapsible eye wire needles and an empty glass jar from the health food store around the corner. 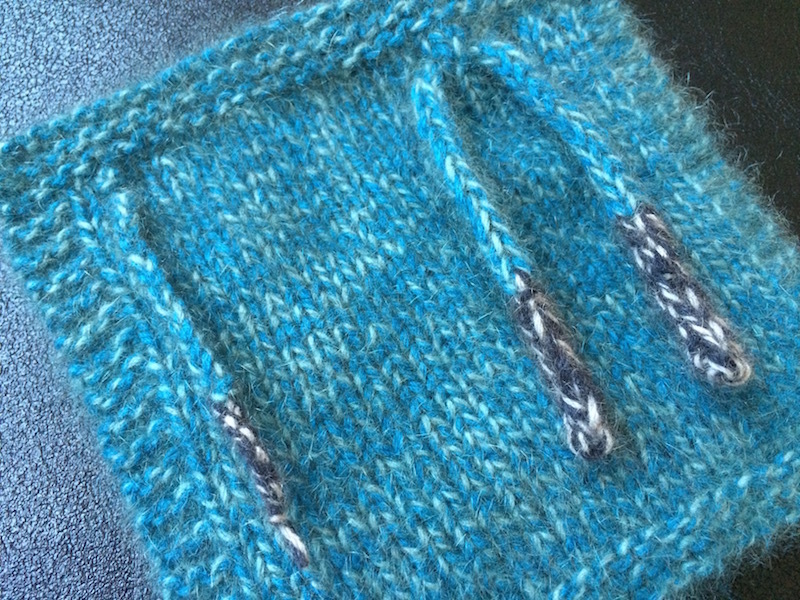 I added 3 beads to the bottom of each piece of untrimmed fringe and knotted it securely. I think I’ve found my winning fringe, no mud required!